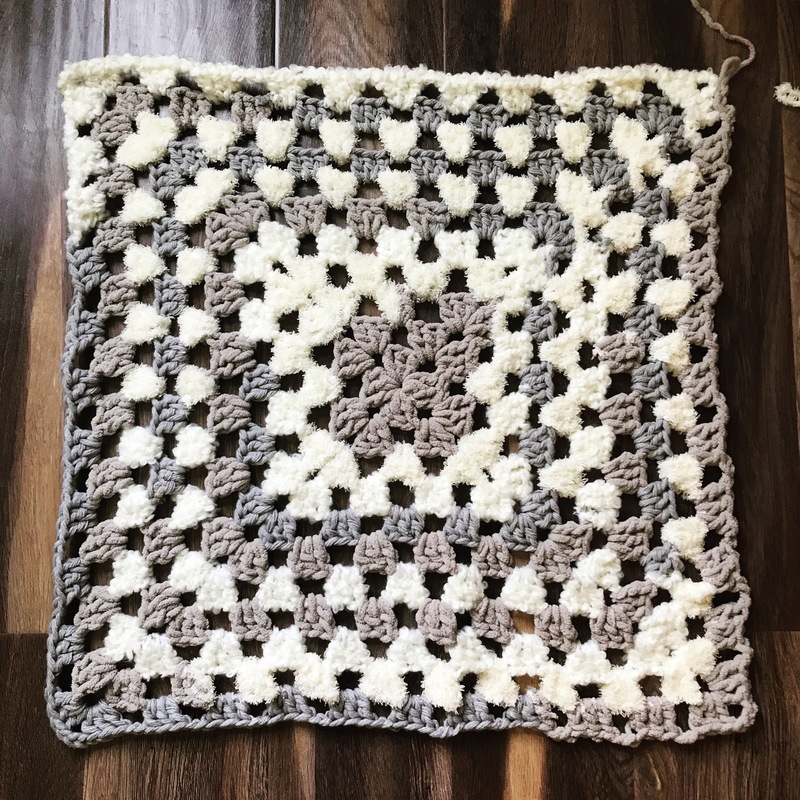 I did not write the full pattern for this tutorial. 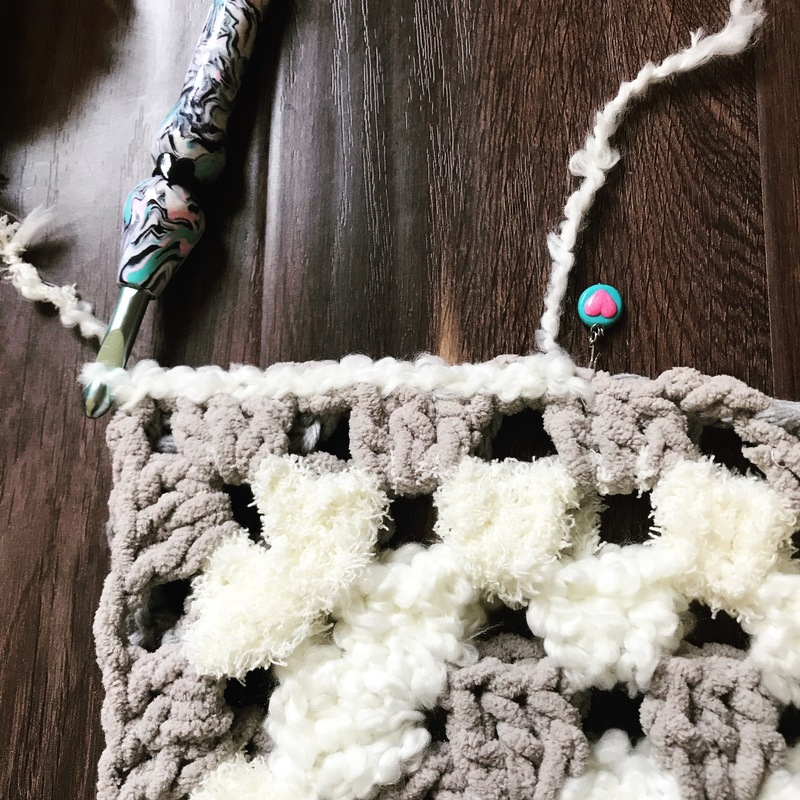 You will make a granny square. 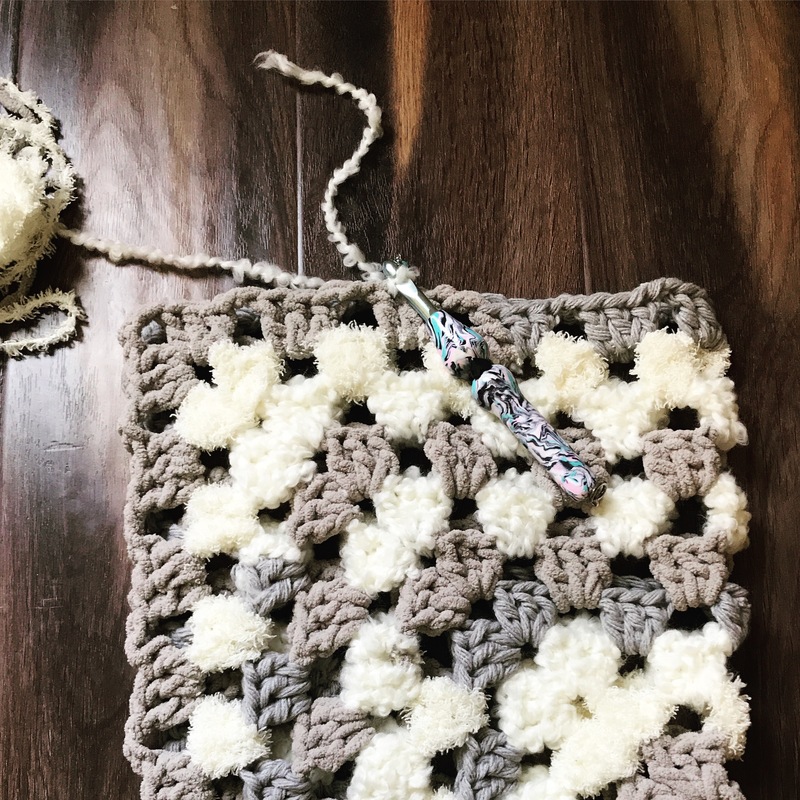 Crochet 9 rounds for 2T, 10 rounds for 3T, 11 rounds for a 4T-5T. Want a larger shrug? Add rounds.. subtract rounds for a smaller shrug! I’d recommend adding 1-2 rounds for each size increase. 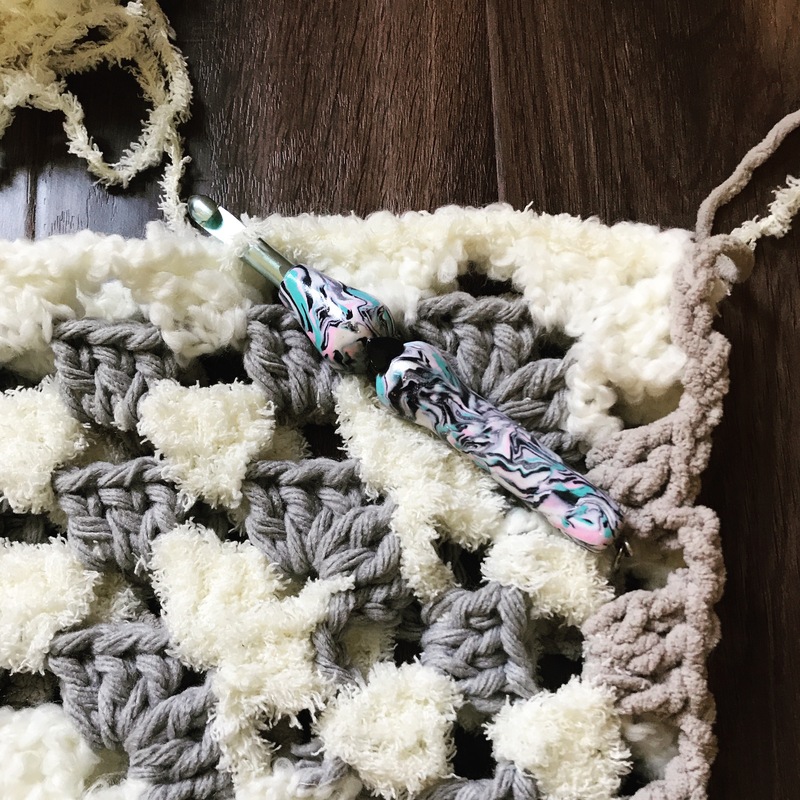 I crocheted 11 rounds. 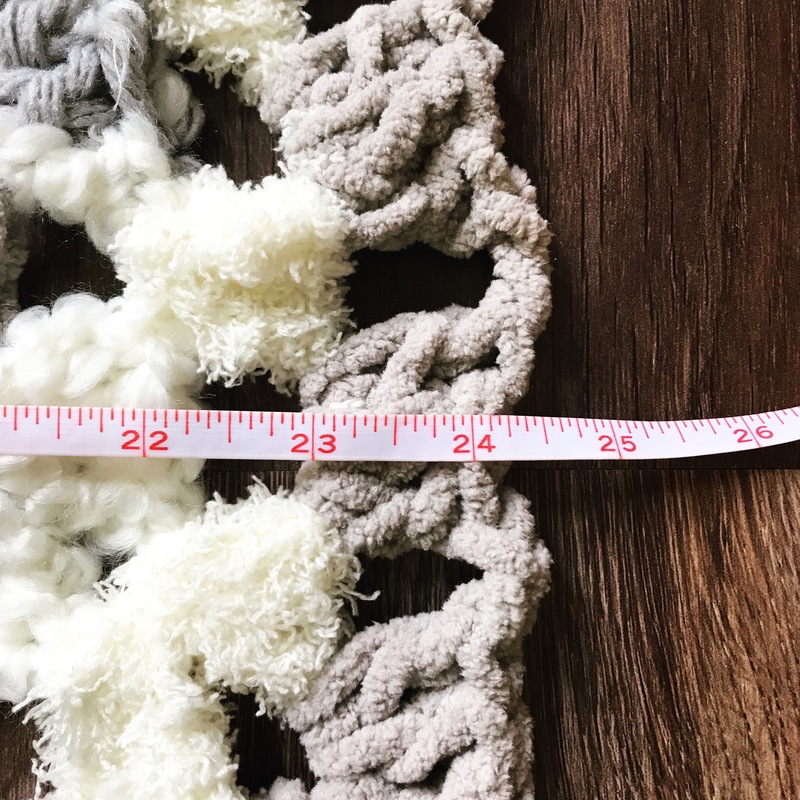 Granny square should measure approximately 24″ w.
Fold your granny square so it looks like the example below..
Sew or stitch the square together as shown below. You should have a total of 12 stitches. 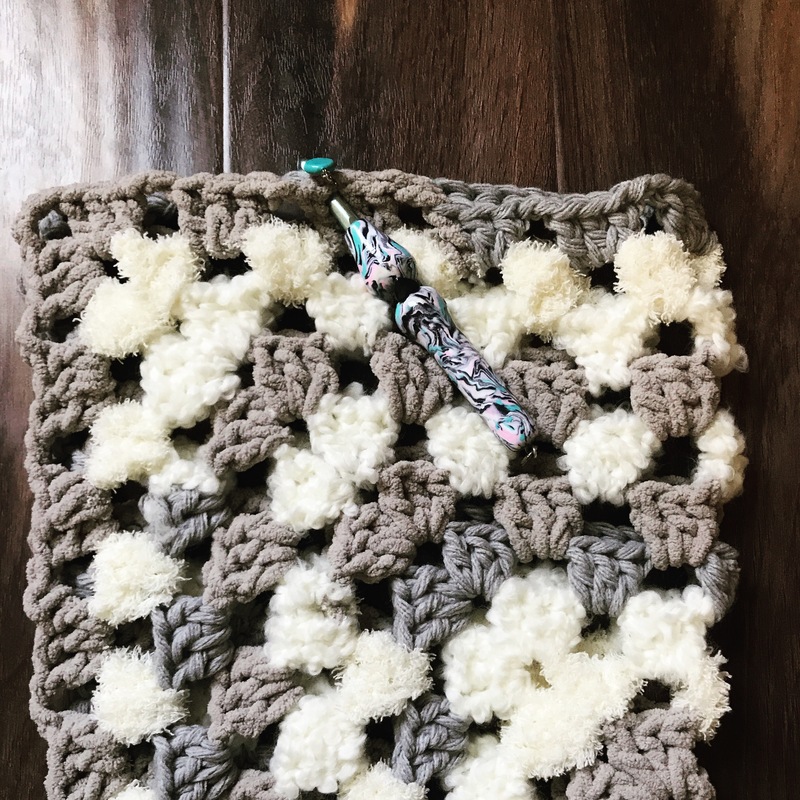 I used slip stitches to complete. Complete on the other side of the shrug. Your work should resemble the example below..
Add a boarder of SC to the arms.. you should have approximately 32 SC around each arm. 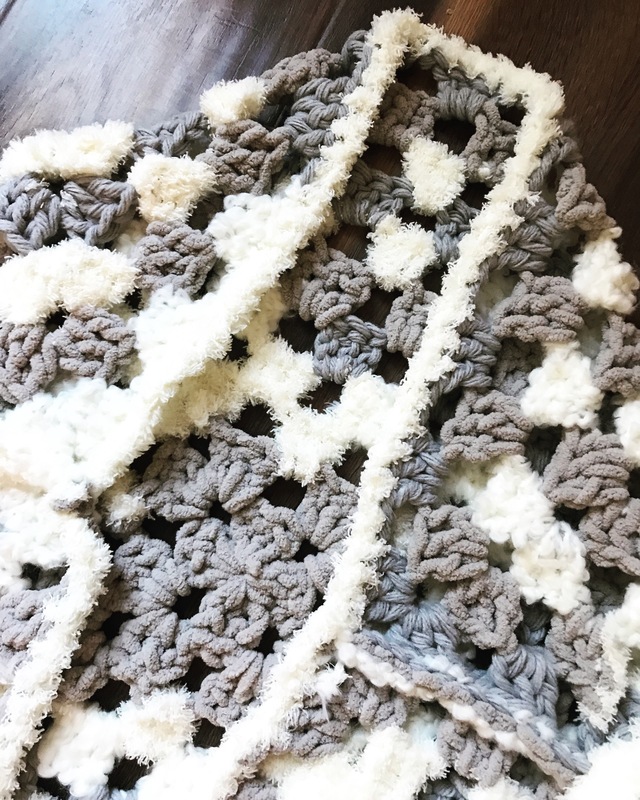 I crocheted 3 rounds of SC. 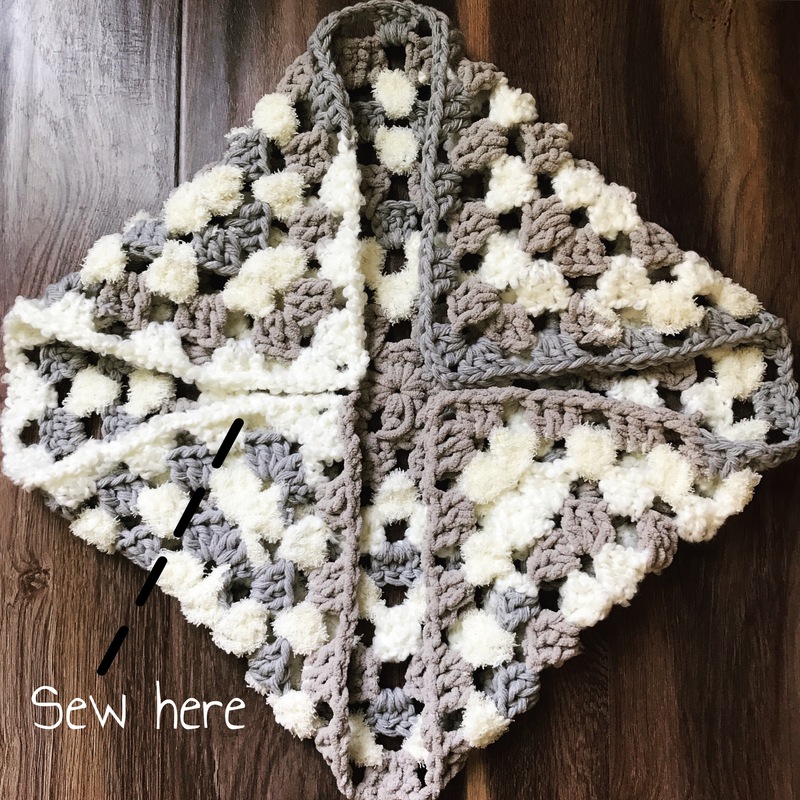 Add a boarder to the center of the shrug. 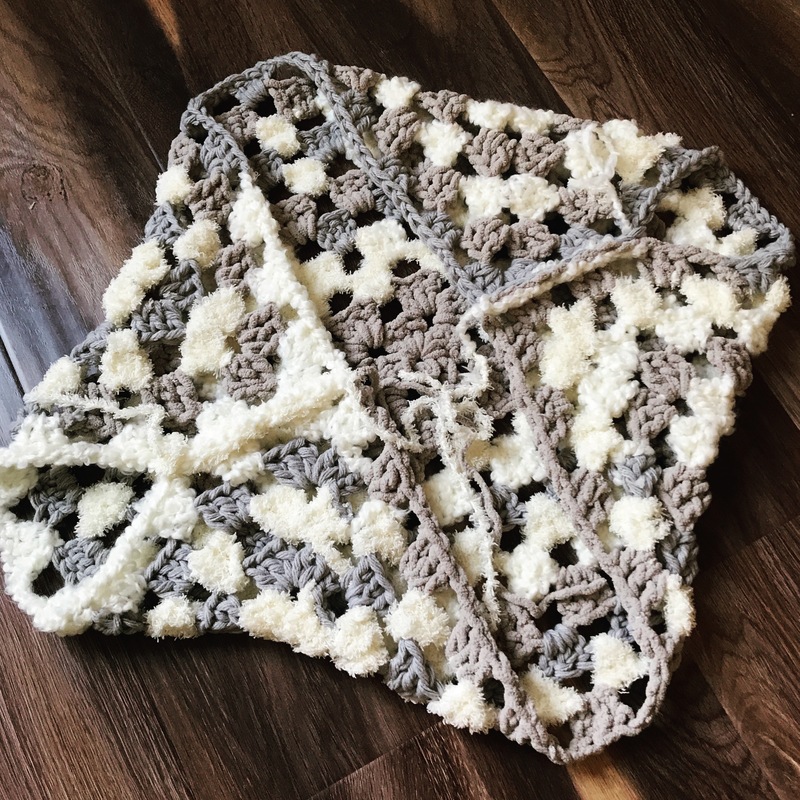 I crocheted one round of SC. 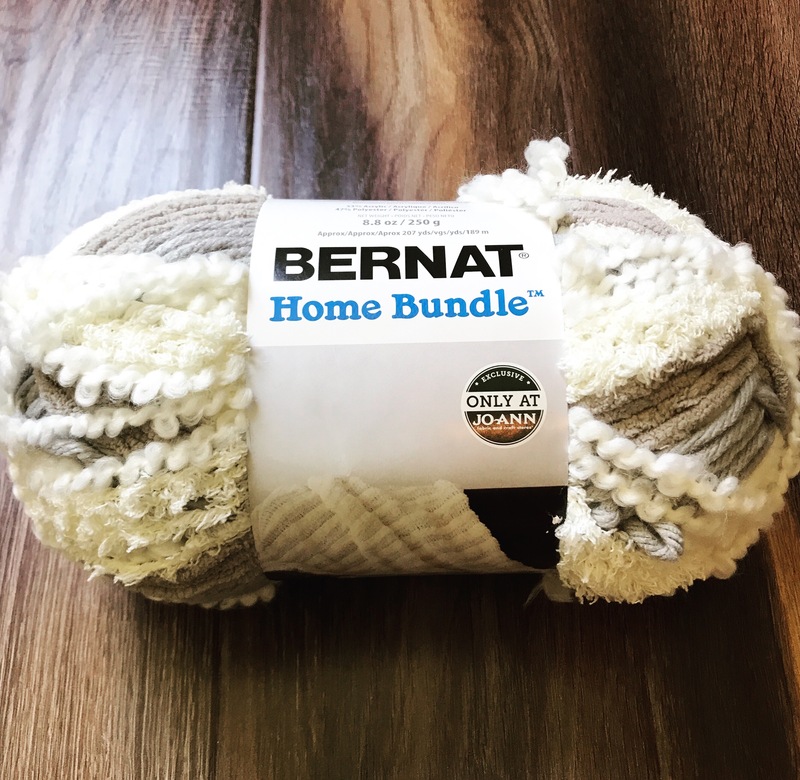 Sew in ends & trim excess yarn. If you wish to share this design, please link back to this page. 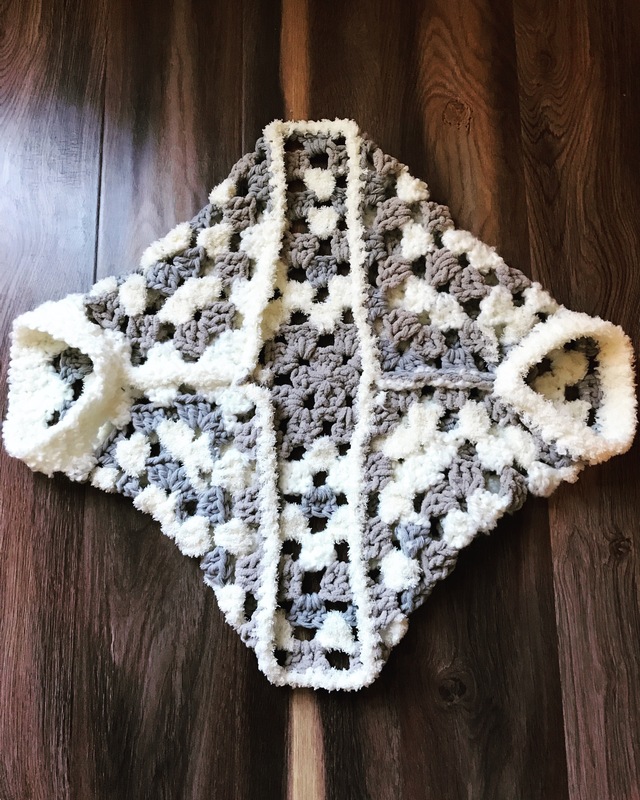 You may sell products made from my patterns. 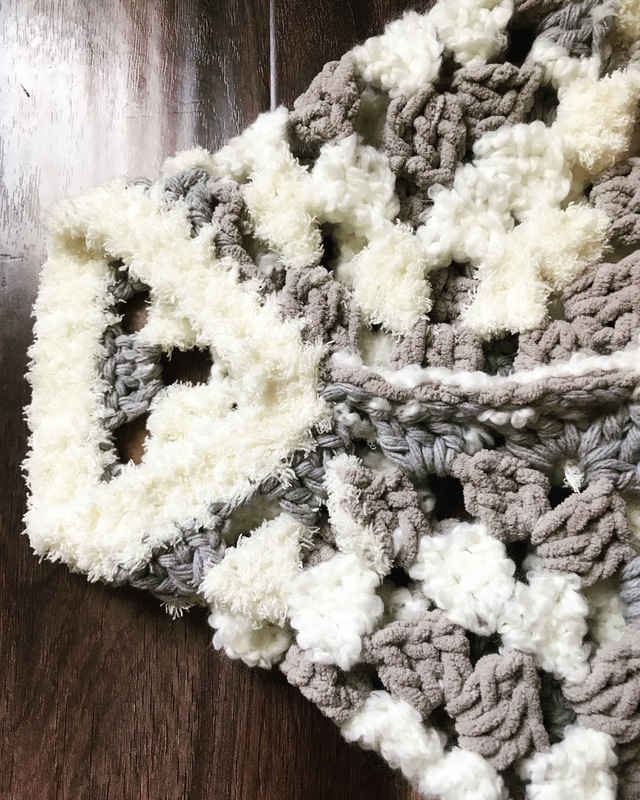 I do ask that you credit my blog on your Etsy/websites as well as on all social media outlets by tagging me on Instagram @southerndaycrochet & on Facebook Southern Day Crochet. Please use #southerndaycrochet for a chance to be featured on my Instagram as well! I love seeing your work!! So beautiful! 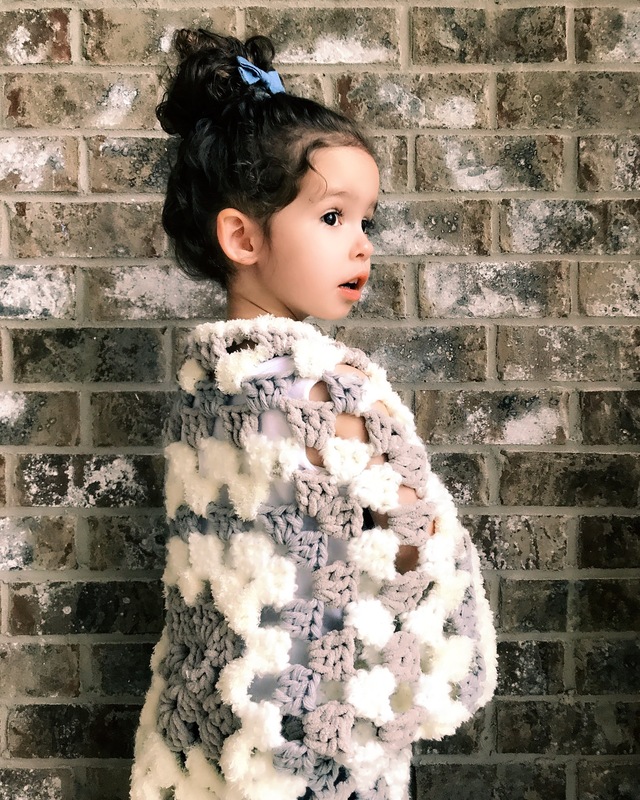 Going to try to make it ,this weekend for my 3 year old.